I sit here thinking of ways to revamp and redo this site so that it is pleasing to those who visit my site. It's not an easy task to do. Seriously. It seems I'm always in a writing slump. Yes, I'm frustrated, but I figure why not go ahead and put it to paper (or my site, since that's what I'm doing). Not everything I do and write are disjointed. I could turn this into a bible study on frustration. However, I feel it is just as good to show that I'm like everyone else. Have you ever felt you were in a slump as I feel I am? Maybe today is that day for you. Maybe it was yesterday. We all get the funks every now and then. If there was never a bad day to be held, then how does growth ever come about? I believe we all have days like I am having, as there is something we can learn from it. It's a continual process. Sometimes I feel as though I can write for hours. At other times I feel it's useless, so why do it? I can think of a reason to keep doing it. It's better to get it out and down, than to keep it held back. Characters in a book, when we read one, express their frustration. They have their good and bad moments as well. Like I said, sometimes thoughts are disjointed, but work with me here. 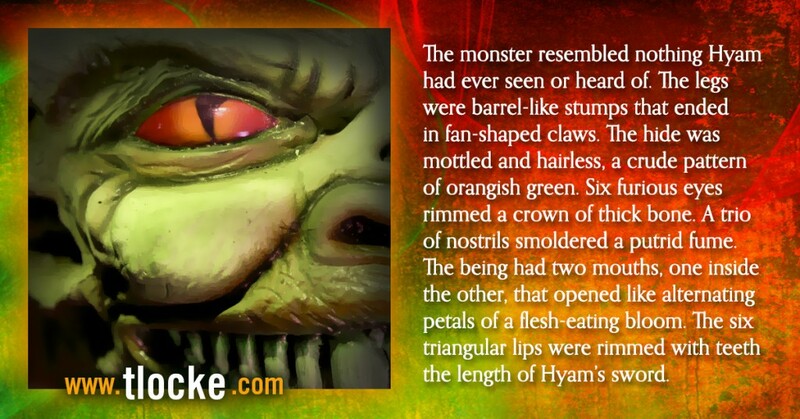 Authors allow this to show readers the character they are writing about has flaws just as we all do. I'm just as flawed and imperfect as anyone. So, who's reading the book that I'm in? Since I consider myself a child of God, I can easily say He's reading the book I'm in. He takes joy in seeing me grow. It is painful to and on me, but it is always a season of growth. I have a feeling I'm always going to have to work at things. I'll have to understand better. I'll have to do better. Most likely I'll still have days that are like today, and maybe they'll be far better than how I feel at this moment. All I know is I ought to keep on writing even in the times I don't feel like it. This is my continual work. And I still enjoy it regardless. 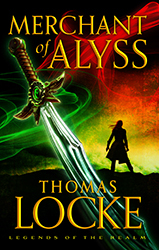 Thomas Locke has done it again with his new book, Merchant of Alyss. While the book starts off a little slow (okay, purely my opinion), it soon develops into one romp of a story. Trees that uproot themselves to defend their master's home. However, for Hyam, who is not a farmer as he intended to be, in Thomas Locke's Emissary, life is a bit more complicated. In reading the book I find that Hyam isn't one who looks to receive accolades or awards for what he does on behalf of the realm he lives in. His residence is in the city of Falmouth Port, where him and his wife, Joelle enjoy life. In Emissary, Hyam is a confident in his farming abilities, simply wanting to farm. Some how he comes into his own, going from farming to becoming a mage. Here, in Merchant of Alyss, he's thrust rather immediately to find out where an unknown source of magic has taken place. He is sensitive to the changes in the air around him; kind of like the scent of beef stew bidding someone on to seek the source of smell out. Hyam is thrust into a situation, even though he's still recovering from battle wounds in Emissary. Milantian scrolls appear in Falmouth Port where his help is needed to understanding what they are and why it appears there's no text on the scrolls. Now, he's on a new quest. This force quickly surrounds him, his wife Joelle, and a small band of friends into both unknown territory and onward to the furthest reaches for an unknown enemy. I feel it is more than just my duty to represent this book in its rightful light. I loved the book even though I never had a chance to read Emissary. Why did I love a book where I know nothing of the primary character from the previous book? Simply because I see and feel exactly what Hyam does in this fantastic book. Here's a small taste of Merchant of Alyss on page 22 onto page 23: "Hyam turned away. He waited until a turning hid him from view, and then he scratched the scars that ran from his right wrist to his breastbone. The physical wounds had healed well enough, but defeating the crimson mage had seared away Hyam's arcane talents and shattered his orb of power. The losses left him bereft in a manner that none could see and only a handful even comprehend." The next small part is after a small break on page 23: "It came to Hyam like a scent carried on a war-torn wind. But there was no breeze within the city walls." You quickly get the feeling he's hunting down whatever magical force assaulted his home. While Hyam takes responsibilty of doing any certain task, when he doesn't fully understand why he is taking such an action, he shows a leadership ability. He does this by taking command of any given situation that arises. It never once comes across as if there's any shifting of gears, and perhaps there is, but you get a sense that Hyam is going to do what he is in tracking down who attacked his home and why. When it comes down to one specific theme the book shows is Hyam's love for others in his party. He doesn't just show this for his wife or for their constant companion pet, Dama. This theme of love also shows itself in his care of others, whether it is for their safety or in his decision for a choice he's made. And that's another part of this theme: Hyam constantly is on the alert for any kind of change. Even though it seems scenes shift quickly and not allowing an image to coalesce, you get the sense there is always action going on. It stands that the reason for this is to show how any character's choice affects others, even if where they are at is a breif setting. Sometimes the setting needs to be brief as they move onward at a brisk pace. There are pivot points regarding scene changes and what happens next; however, it's constantly done so for the effect of that constant movement. There are some who want a scene to be fully painted, or even drawn out, but oftentimes brevity is wonderful so that the reader isn't overloaded on details. Why get bogged down in scenes and descriptions when what is being read takes that part of your senses to indicate action? I don't enjoy being bored to death in details. I believe that was Thomas Locke's point. I enjoy writing as much as he is and I want to enjoy what I read. That's why Thomas Locke writes the way he does. Write what you know and what you will read yourself. Conversation is always considered action. While it appears that the characters can and often do finish the thought of another shows that these people have been around one another. They care for each other. They have once before been companions and that's how they remain with one another. Who doesn't enjoy a close knit bond with their friends? Hyam and his company prove that very well. I rate the book at five out five the way I do not just because I enjoy the way Thomas Locke writes. This is my third read of his work. The first was with Trial Run of the Fault Line series, the second being Double Edge also in the Fault Line series, and now with Merchant of Alyss. This author, in my opinion, knows hiw craft, has done this for many years, and weaves his stories as wonderfully as Stephen King does his. Usually, when I find an author I truly enjoy I tend to want to read all their work. This same can be said of what I've liked so far from Thomas Locke. And that's another point I want to make: Thomas Locke is a pseudonym for Davis Bunn. Under his rightful name, Davis has written scores of books. One of those books I keep wanting to read over and over is Lion of Babylon, and more recently The Fragment. Okay, that may be a bit of a shameless plug, but that's my point. I like what I like and I'm not going to be afraid of stating my opinion. While a lot of what I write is going to be on my website, I also want to extend a hand out to other writers who want to showcase their ability as well. If you have tips on how to write better, or any topic you please, feel free to send an email. You can do so by heading over to the Contact page. I think writing is an open ended craft. While it's the author's job to reel in readers, to engage, inform, and to provide a means of escape, I believe it's having a dialogue. Every time an author writes a book it's almost as he or she is saying, "I've written this for you. Let me know what you think." And that's where reviewers come in. Those of us who do review a book, a movie, or anything pertaining to the art of writing, it's exactly that: a dialogue. So, feel free to let me know your thoughts and to be a guest writer. Thank you! "The LORD is my shepherd, I shall not want. He makes me lie down in green pastures; He leads me beside quiet waters. He restores my soul; He guides me in the paths of righteousness for His name’s sake. Even though I walk through the valley of the shadow of death, I fear no evil, for You are with me; Your rod and Your staff, they comfort me. You prepare a table before me in the presence of my enemies; You have anointed my head with oil; my cup overflows. Surely goodness and lovingkindness will follow me all the days of my life, and I will dwell in the house of the Lord forever" (Psalm 23, NKJV). Many pastors use Psalm 23 when they eulogize a person's life when he/she has departed from us. However, what if the purpose of Psalm 23 is to comfort us in the day by day routine? 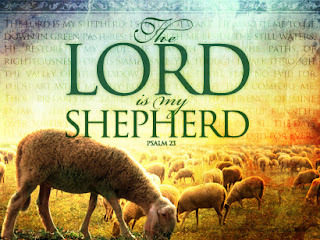 The psalmist starts by saying, "The LORD is my shepherd, I shall not want." He's saying that God provides for him in all circumstances. How is this relateable to the passing of one's life? 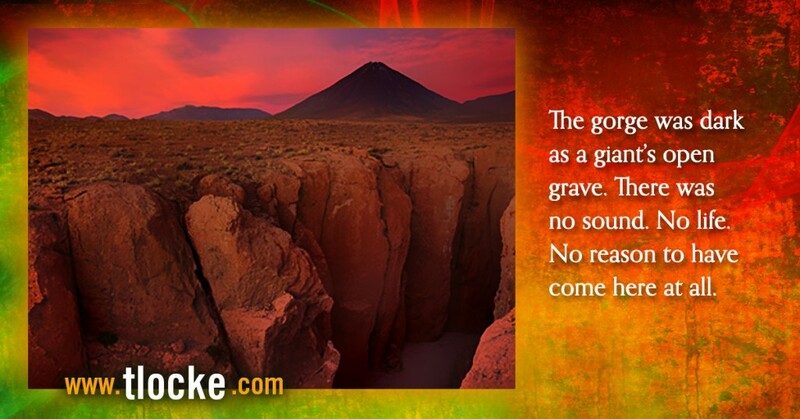 God cannot provide more for a man or a woman when they pass through the veil of death to Him. "He makes me lie down in green pastures; He leads me beside quiet waters," the quill writes. Can we honestly say that in the daily grind of life we have perfect peace? Even the best Christian among us is busy, hectic, and deal with stress. Do you see God in control enough so that you can say, "You help me lie down; you lead me to still water?" His comfort toward us is the result of what Jesus Christ did at the cross. Jesus said, "Peace I leave with you. My peace I give to you. I do not give to you as the world gives. Your heart must not be troubled or fearful" (John 14:27, Holman Christian Standard). The peace which Christ gives to us allows us the ability to say, "Lord, you restore me. You guide and You show me how to remain righteous as Your Son is righteous. I go through perilous times, but Your word, Your law, it comforts me." I love how Matthew Henry looks at the next set of text: "The valley of the shadow of death may denote the most severe and terrible affliction, or dark dispensation of providence, that the psalmist ever could come under" (speaking of verse 4). We all walk through some sort of fiery trial. A child we gave birth to dies. Or maybe even work we once loved doing was taken away from us. It's an every day occurence to experience some form of death. But we all come out from under it. 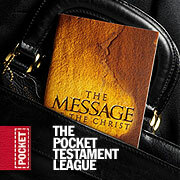 The psalmist continues on - "Your rod and Your staff, they comfort me." A shepherd usually leads the flock of sheep from the front. If the shepherd turns left, so does the flock; if he turns right, so do the sheep. The rod represents God's word which can both be a comfort and to admonish. The staff is more to keep those under the shepherd's care from any type of harm. This means the staff, also God's word, is to ward off those who come to do evil. "You prepare a table before me in the presence of my enemies," the psalmist declares of God. When have you felt the safest during the day? Maybe at home, with a meal prepared, and the alarm is set? God sets good things before His people, whether in peace and safety or in the midst of those who do evil. It means God provides safety to those belonging to Him. There is a certain liberty we have in America where the teaching of the Bible doesn't fully come under any hardship as it does in other parts of the world. "You have anointed my head with oil; my cup overflows," he writes on. In Gill's Exposition of the Bible, he says of this part of the verse, "Giving an abundance of good things, not only for necessity, but for pleasure and delight; especially pouring out largely upon him the oil of gladness; the Spirit of God and his graces...The allusion is to the custom of the eastern countries, at feasts, to anoint the heads of the guests with oil." Gill furthermore says, especially on the "cup overflows," that it "denotes an affluence of temporal good things, and especially of spiritual ones, which was David's case." The Pulpit commentary says, "The past is an earnest of the future, As God's "goodness and mercy" have always followed him hitherto, David has no doubt that they will continue to cling to him while his life continues," in regards to verse 6, which reads, "Only goodness and faithful love will pursue me all the days of my life." David finishes the psalm by saying, "I will dwell in the house of the LORD as long as I live." Matthew Henry's observation is good to put into effect at the ending of this chapter, by saying, "While here, the Lord can make any situation pleasant, by the anointing of his Spirit and the joys of his salvation. But those that would be satisfied with the blessings of his house, must keep close to the duties of it." Therefore, Psalm 23 stands out as a song of comfort, whether in good times or in bad. It's a song that releases God to work no matter the circumstance. It reminds me of where Paul writes, "I know how to be humbled, and I know also how to abound. In everything and in all things I have learned the secret both to be filled and to be hungry, both to abound and to be in need" (Philippians 4:12, World English). Surely God's goodness and lovingkindness can be seen regardless any situation we may face. We can see that in learning to allow God to be faithful and just toward us in His love, He comforts us. Are you comforted knowing this? Recently I heard something interesting. The phrase was "Darkness is the absence of light." If that's the case then: hate is the absence of love, lying is the absence of truth, and idolizing is the absence of worship of the One True God. I'm not saying this to offend anyone, but to expose darkness for what it is. I'm certainly not without sin or defect. Rather, it is by the grace and mercy of God who forgives me of the wrong I do in the blood of Jesus. My faith in Him replaces the darkness for His light. 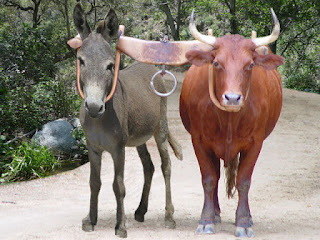 Paul wrote, "Do not become unequally yoked together with unbelievers. For what partnership have righteousness and lawlessness? Or what fellowship has light with darkness?" (2 Corinthians 6:14, Berean Literal Bible). I don't think Paul is saying we're to separate ourselves from others who don't believe in Christ Jesus. If that was the case how did Paul minister to those who struggled in their sin, exposing the darkness from the light and winning souls for Jesus? No, Paul is rather exposing those who make the claim they follow after Jesus, but don't show the fruit that they belong to Him. As Christians we're called to love and honor God through Jesus. It means speaking the truth in love. It means loving other people where they are at. It's not my place to point out someone else's flaws when I'm still flawed myself. Scripture, which is God's word, judges the heart of man. Surely someone will think and then say, "But men wrote the Bible. Are you saying they were judging others?" God spoke and still speaks from men He can use. What this means is that those who wrote the Old Testament were doing their best to awaken people out from darkness even then. God doesn't design any of us to live in darkness. He doesn't create us to be in peril. He isn't a far off God who never helps us. To claim there is no God is a form of idol worship. This alone breaks God's command to worhsip only Him. This breaks God's heart when we go against Him. But we're not only judged by Him in our own selves. God punishes the wicked. He says, in His word, "Thus I will punish the world for its evil And the wicked for their iniquity; I will also put an end to the arrogance of the proud And abase the haughtiness of the ruthless" (Isaiah 13:11, NASB). God points out that "The soul who sins, he shall die: the son shall not bear the iniquity of the father, neither shall the father bear the iniquity of the son; the righteousness of the righteous shall be on him, and the wickedness of the wicked shall be on him" (Ezekiel 18:20, World English). Allow me to say it this way: I came to faith in the power and person of Jesus by realizing I was that Prodigal Son. It was like I woke up in the pig pen, seeing myself stuck in all that filth. I saw that I was the one responsible for not listening to God. I was the one in darkness. For God, in His loving kindness and gracious mercy, to show me I'm in darkness, then He's showing me how much He is the light. Jesus is "life, and the life was the Light of men" (John 1:4, Holman Christian Standard). To deny Jesus, and therefore the Father, says all there is in enjoying the darkness over the light. Darkness doesn't comprehend or overpower the light (see John 1:5). This darkness emanates from an enemy who is unseen. This one does his absolute best to keep the blinders on those he believes belong to him. None of us have a rightful place in doing or enjoying in wicked deeds. If any of us desire to do evil, then how would any of us know: right from wrong, to long after and speak the truth, or in giving kindness to someone in need of kindness? In your heart of hearts, do any of us want God's justice on us? In looking at these verses it seems that those who are truly wicked don't and won't turn away from doing evil. In other words, these people are so far removed from God that they "Exchanged the truth of God for the lie, and worshiped and served the creature rather than the Creator, who is blessed forever" (Romans 1:25, New King James). Worshipping and serving the creature is alike to remaining in darkness. This is what we serve before we come to a knowledge and saving grace of God in the name of Jesus Christ. Jesus sent word back to John, his cousin, "The blind receive sight, the lame walk, the lepers are cleansed, the deaf hear, the dead are raised, and good news is preached to the poor" (Isaiah 61:1, Matthew 11:5). If you no longer want to be blind ask Jesus to restore your sight. If you want to be able to walk again (a metaphor for being unable to get out of the filth and muck), let Jesus heal you and give you the ability to do so. We all feel unclean from time to time. Having a need to be cleaned by the word allows you to no longer be removed from the community. Lepers were avoided by those who claimed they loved God, but would not help them who had leprosy. If you no longer have a fondness for the inability to hear allow Jesus to unstop your ears. If you want a new life Jesus can put the word in you so that you have life and have it in abundance. If you believe you are poor, then allow Jesus to extend the good news He has overcome death and hell. We all can experience the light and the truth of God. "Put off, concerning your former conduct, the old man which grows corrupt according to the deceitful lusts, and be renewed in the spirit of your mind, and that you put on the new man which was created according to God, in true righteousness and holiness" (Ephesians 4:22-24, New King James), Paul pens. Jesus told many parables while He walked this world in Israel. One of the most famous, which many a pastor and preacher have told is about the farmer who sowed seed. He comes out of the home he's been staying in. He feels the heat of the day, but stands tall anyway. All the eyes of the many men and women are upon him. Anticipation brews. Murmurs from the people hum in his ears. He walks with confidence to the sea that is close by. After sitting down Jesus tells them this: "Behold, a sower went out to sow. And as he sowed, some seed fell by the wayside; and the birds came and devoured them. Some fell on stony places, where they did not have much earth; and they immediately sprang up because they had no depth of earth. But when the sun was up they were scorched, and because they had no root they withered away. And some fell among thorns, and the thorns sprang up and choked them. But others fell on good ground and yielded a crop: some a hundredfold, some sixty, some thirty. He who has ears to hear, let him hear!" (Matt. 13:3-9, NKJV). We're never truly told how many people were there, except that there was a multitude of people. We're never told what they said or did when Jesus came out even. We're told that Jesus sat by the sea and he was in a boat (Matthew 13:1, 2). We're told the people stood (v. 2). What I love about this parable is that Jesus paints the scene with a farmer going out to plant seed. He tells us plainly some seed falls on the pathways leading to harvestable ground. I can see it plain as day. My grandparents, my mom's parents, were farmers from their young days until the day they retired. I can relate, to a degree, with what Jesus tells us. I can see my grandfather, in my mind's eye, walking out into a pasture, getting ready to hop in the tractor to sow seed into the ground. He has a pouch with seed hooked on the right side attached to his belt. Some seed trickles out on to stony ground. Birds come and devour that seed. Some seeds fall into thorn bristles, but they take root and there's a small crop. Yet, they are choked off because of those thorns and the results aren't good. Some of that seed spills out on ground that is fertile while my grandfather walks to his tractor. This ground, whereas, isn't deep and has stones just below the surface. This seed takes root as well. Yet, the heat comes, beating down on the crop and it burns away. Mick, as everyone called him, plants a firm right foot onto the first step into the tractor, making it easy to slide in. He's drenched with sweat already. Wipiing away the stream on his brow, he starts the tractor up. Every single year him and my grandmother did this kind of work. I remember the time of year when we went up from Texas to their home seeing corn stalks and they stood over my dad. Like soldiers standing at ease, they probably stood around seven feet tall, blowing in a gentle August breeze. Corn seed wasn't the only thing that was sowed. Looking it up other seed that can be grown are asparagus, peach, "cauliflower, green peas and lima beans" (Illinois Fruit and Vegetable Farmers Grow Success, second paragraph). I just remember corn. At any rate, Jesus tells us plainly what the parable means: "When anyone hears the word of the kingdom, and does not understand it, then the wicked one comes and snatches away what was sown in his heart. This is he who received seed by the wayside. But he who received the seed on stony places, this is he who hears the word and immediately receives it with joy; yet he has no root in himself, but endures only for a while. For when tribulation or persecution arises because of the word, immediately he stumbles. Now he who received seed among the thorns is he who hears the word, and the cares of this world and the deceitfulness of riches choke the word, and he becomes unfruitful. But he who received seed on the good ground is he who hears the word and understands it, who indeed bears fruit and produces: some a hundredfold, some sixty, some thirty" (Matthew 13:19-23, NKJV). The Berean Study Bible says that "The wicked one" is the devil. The Aramaic Bible in Plain English calls him "The enemy." No matter how the verse in Luke 8:12 is stated in the Bible we can know for sure that the one who takes the seed away from the hearer is basically a heart that is cold and unopen to the message of Christ. Without express revelation from God, or in having a humble heart, which is ready and open to the word this person just can't discern what real, authentic truth is. This heart opposes the message Jesus Christ is saying. 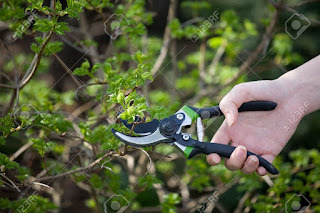 Mark says in his gospel account, Jesus says, "Other seed fell among thorns, and the thorns came up and choked it, and it didn't produce a crop" (Mark 4:7, Holman Christian Standard). Jesus tells us that this seed is choked out. The heart of this person takes root, and is joyous for a time. But the demands of the day takes its toll. Whether it's the demand of a job, the care of a spouse or children, or whichever, this heart doesn't remain on God or His word. This heart is so open and ready to God and the word of Christ that fruit is born. In another related verse, Jesus tells us this person is so enriched and exposed, "By their fruits you will know them. Do you gather grapes from thorns, or figs from thistles?" (Matthew 7:16, World English). This person is more than ready. This man, or woman, personifies the essence of God: "And the congregation of those who believed were of one heart and soul; and not one of them claimed that anything belonging to him was his own, but all things were common property to them" (Acts 4:32, New American Standard). Their faith in Jesus and belongs to Him produces actual work. James says this of the person who has no faith: "My friends, what good is it for one of you to say that you have faith if your actions do not prove it? 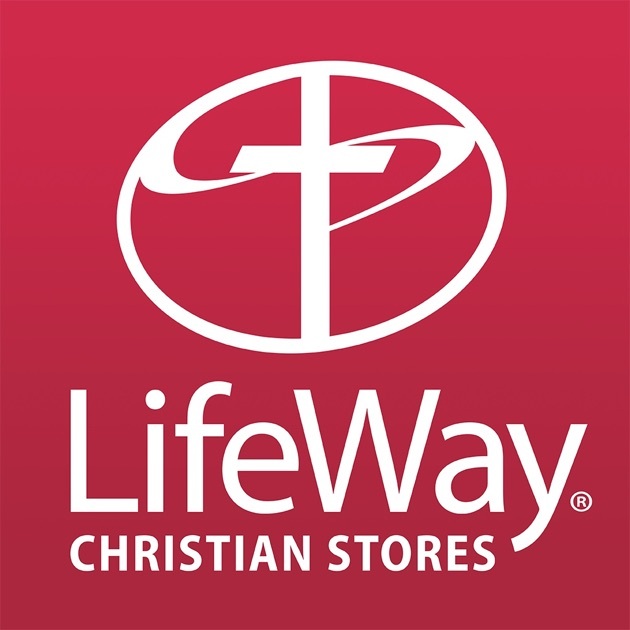 Can that faith save you? Suppose there are brothers or sisters who need clothes and don't have enough to eat. What good is there in your saying to them, “God bless you! Keep warm and eat well!”—if you don't give them the necessities of life? So it is with faith: if it is alone and includes no actions, then it is dead" (James 2:14-18, Good News Translation). Endurance can be a great thing. A marathon runner goes for the prize at the Olympics. He, or she, has adrenaline pumping. Drenched with sweat and heart pounding the feet pump, their heart hammers away. They see the end. All of a sudden their hamstring clenches up and they come crashing down. What happened? Why did this happen? They were doing so well. They were far ahead of the pack. And yet, their strength failed them. It happens to everyone, actually. I don't imagine this person thought, "Oh, you know what, I just quit." No, this person is hurt. This heart is wounded. It's more than wounded. This is a heart that isn't simply a quitter. On the contrary this person has a heart that is actually cold and distant from God. Everyone quits due to the inability of simply caring for the rigorous daily grind. You were passed over for the pay raise. Your spouse got tired of the complaining and divorced you. You lost a child to cancer. It doesn't happen within days. This happens all of a sudden. Often there is a development, over the course of time, good times are forgotten. The day you won that bid for the job. The day you got the raise. The day you wed your soulmate. The day your child was born. Ah, the good old days. The psalmist writes, "They forgot God their savior, which had done great things in Egypt" (Psalm 106:21, AKJV). In time some of the people of Israel didn't want to relive the good days. "But they kept ridiculing God's messengers, despising His words, and scoffing at His prophets, until the LORD's wrath was so stirred up against His people that there was no remedy" (2 Chronicles 36:16, Holman Christian Standard). "They made their hearts like flint so that they could not hear the law and the words which the LORD of hosts had sent by His Spirit through the former prophets; therefore great wrath came from the LORD of hosts" (Zechariah 7:12, NASB). I'm focusing more on this part of the parable as we all give up. I have a number of unfinished projects I started. I've "tried" to write a few books. I gave up when things got hard. I grew tired and frustrated as I worked. I forgot how much of a joy I felt when I first started. Then I got angry and didn't want to remember the joy I once had. I got bitter and resentful. So, how did I end up getting back into doing what I loved? I do enjoy writing. I love how I feel when I finish something I start. Ezekiel, one of the best known prophets in the Old Testament gives us three scripture verses. Let's take a look at them one by one. "And I will give them one heart, and I will put a new spirit within you; and I will take the stony heart out of their flesh and will give them a heart of flesh" (11:19, Jubilee Bible 2000). Having a heart that is no longer divided. Recently I've been reading books by authors I admire. As much as I love writing I also enjoy reading. The olympian who loves running, who took that fall, they get up and finish the race in the nick of time; winning. The spouse who was ready to give up on their marriage, they sought reconciliation. The worker who was passed over for a pay raise was offered an even better position and far better pay. The couple who lost their child from cancer, they were able to have another child. Their joy returned.God can give you this in your life. Allow Him to remove that stone. Allow your love for what you enjoy doing spark the dying embers to be rekindled into a roaring fire. Ezekiel writes in another spot, "Put all your rebellion behind you, and find yourselves a new heart and a new spirit. For why should you die, O people of Israel?" (18:31, New Living Translation). We all know the basics of what the law does. Some times we don't like being confined by rules. We see the grass is greener on the other side. We jump ship, so to speak. What's the end result? What you thought was a safe speed almost caused a head on collision. What you thought was okay to do with another person has you in divorce court. The hate you felt led to murder and now you face a trial in front of your peers. Rebellion. Plain and pure disregard in doing right. This can be remedied, in all honesty. By allowing God to expunge you of the guilt you have you can turn over a new leaf and be restored. That collision on the freeway that happened, you were forgiven by the other family. The infidelity you committed was paid off by the offended party and wants to give you another shot. The life you took allowed you to pick up a Bible and you read God's love and forgiveness. God is a forgiving God. He says to you and to me, "Be strong and of a good courage, fear not, nor be afraid of them: for the LORD your God, he it is that does go with you; he will not fail you, nor forsake you" (Deut. 31:6, American King James). Lastly, the prophet pens these words: "A new heart also will I give you, and a new spirit will I put within you: and I will take away the stony heart out of your flesh, and I will give you an heart of flesh" (Eze. 36:26, KJV). Going back to the farmer's field with my grandfather he was able to remove the rocks from the field so he could plant a successful crop of corn. The rain fell and more than a hundred ears of corn grew to full maturity. The soil produced such a harvest because no stones were left. What you think is the end can be a beginning. Whether it's a death in the family, the awful and senseless thing you did, or any other kind of failure you experienced is wiped clean. You can overcome anything in life. You can finish the race you started. You can start again and be published. You can find happiness in your marriage. You can do all things with Him who heals and forgives. "They overcame him because of the Lamb's blood, and because of the word of their testimony. They didn't love their life, even to death" (Rev. 12:11, WEB). There is salvation at the cross. God can remove the stone in your heart. It means acknowledging you fell short. It means removing pride and no longer having an ego. It means coming home to a father you ran away from (see Luke 15:18-24). We all can finish life knowing we have won the race set before us. We can enjoy eternity with a God who made us. We have and bear His image. Won't you allow Him to restore and renew you?